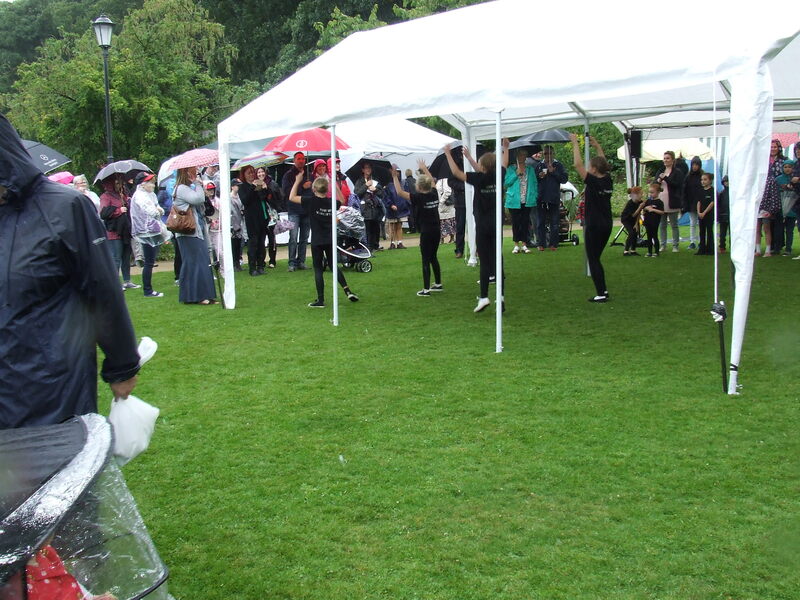 British weather conditions delivered a festival of brollies today at Chadkirk. 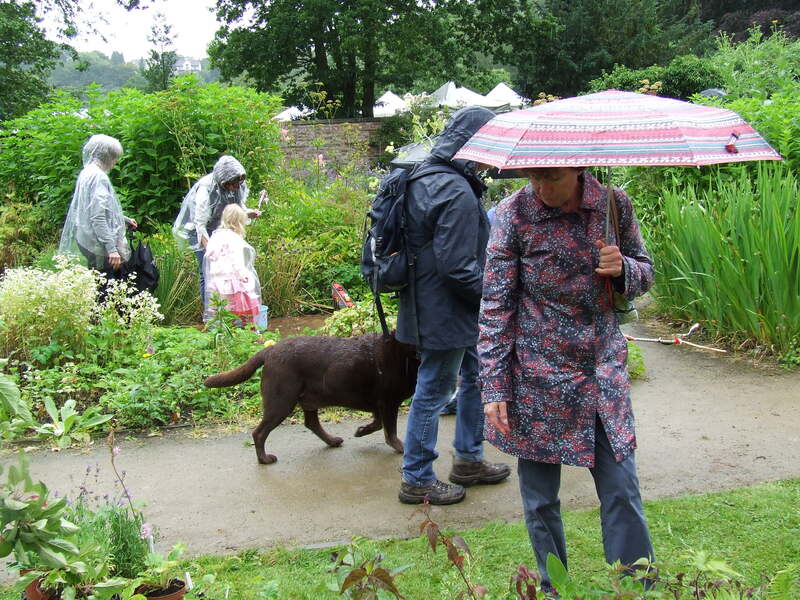 Visitors came, wearing wellies and waterproofs. Undeterred, the dancers danced, the musicians played and the animals entertained. 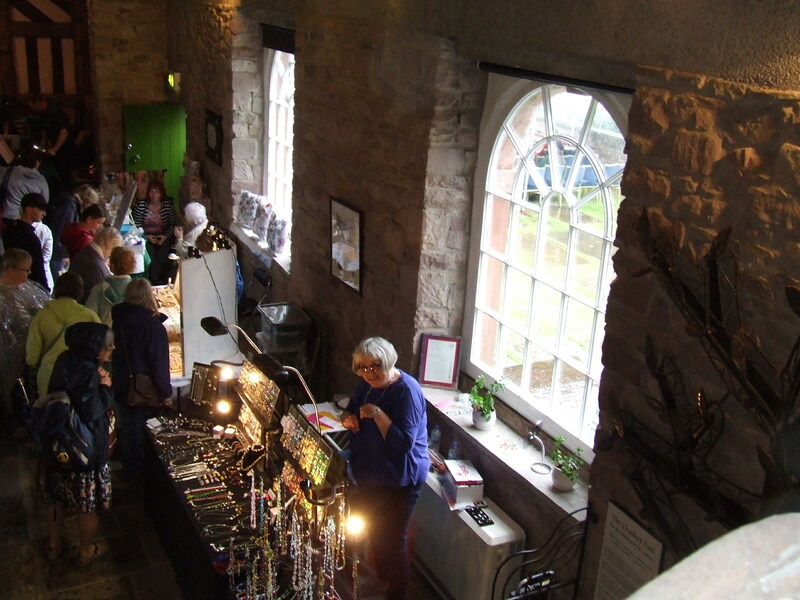 Local artisans displayed their wares under awnings, gazebos and within Chadkirk Chapel. Quality creations by local crafter. 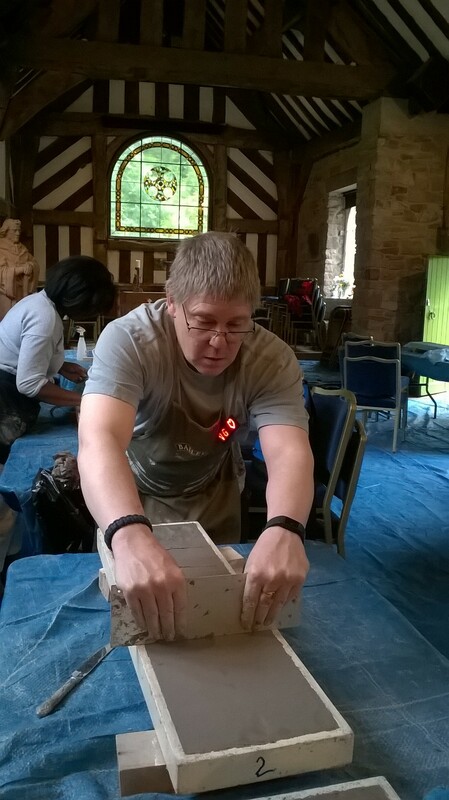 Master craftsman, fine woodworking….and it’s the folk who did the frame for the East Window too! 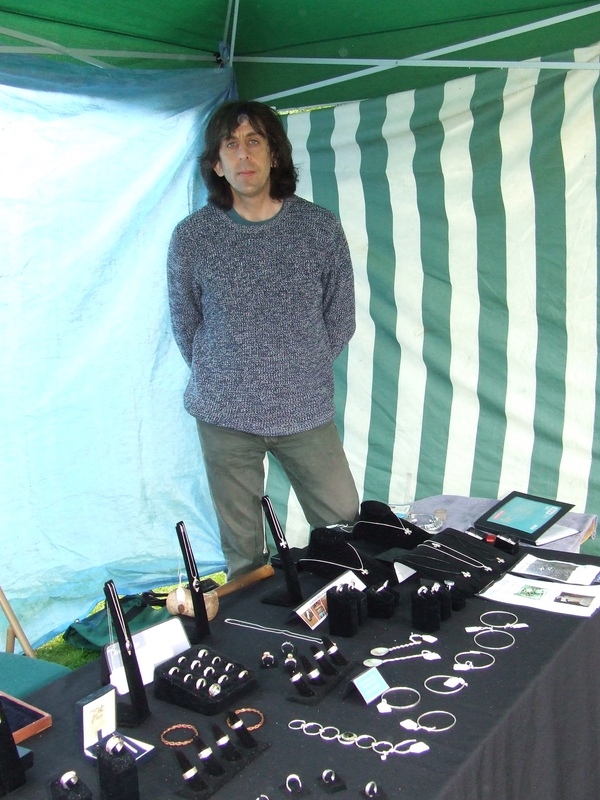 Beautiful hand crafted jewellery on sale – and a chance to meet the makers and discuss their craft. 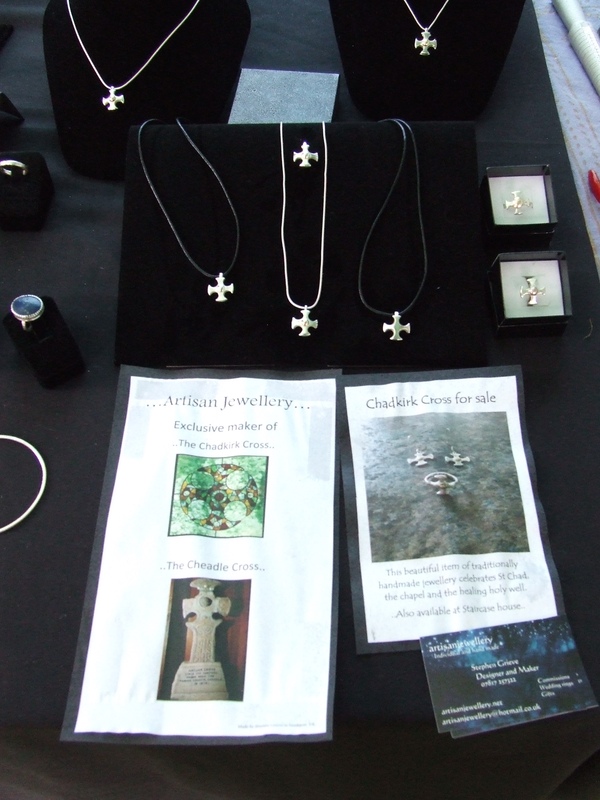 Silver rings, crosses and pendants – including a cross inspired by St. Chad’s cross. Beautifully made by a local craftsman. 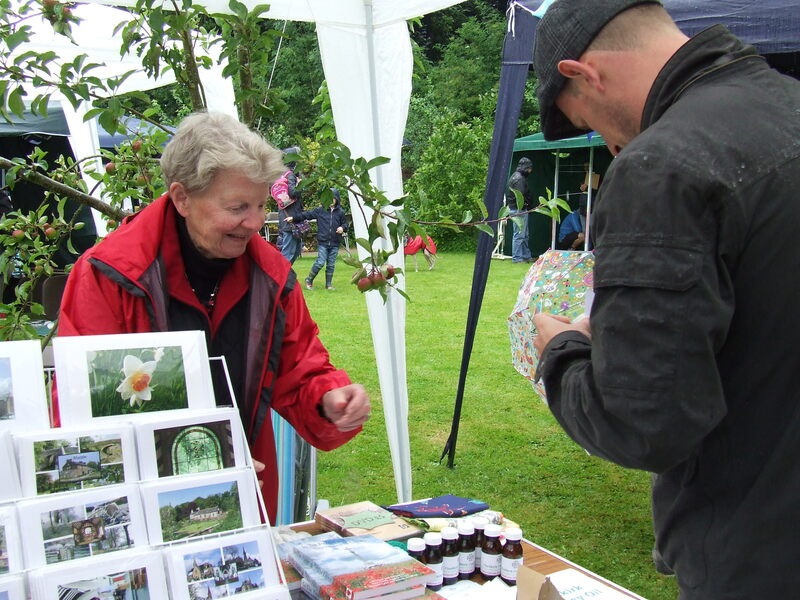 Cards and comfrey oil for sale on one of the Friends of Chadkirk stalls. 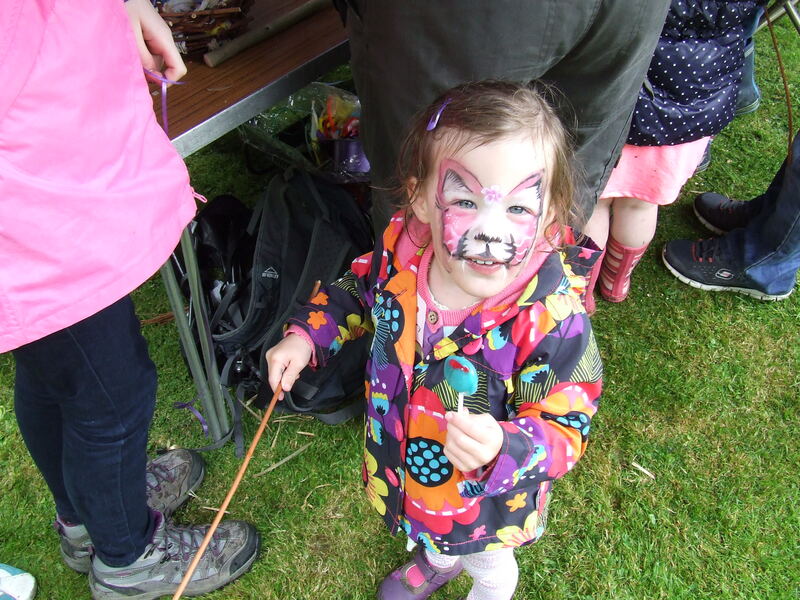 Plenty to do for young children, who were fascinated by the birds of prey, donkeys and ferrets.Some even had the chance to transform their faces into something feline. This year they also had the chance to make their own wizard sticks and fairy wands. Funny feline face on young fan of the festival. 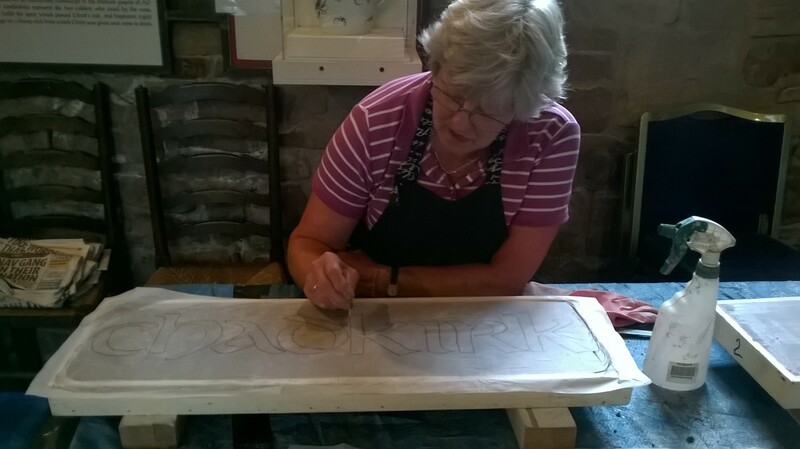 Gather round, get involved, craft your own…with the help of Lesley and Adam. 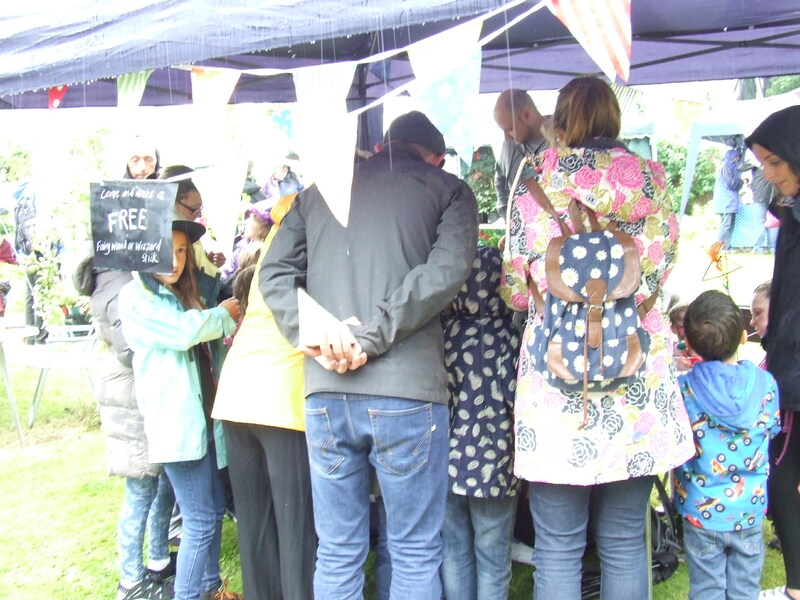 Shapedbynature stall attracts plenty of interest. And then of course, there’s the food. An abundance of choice. Eat now or a treat for later. Local produce or something more exotic.Something for all tastes. On a cool day, a reminder of sunshine (and the best feta cheese I think I’ve ever tasted). St. Chad watches, the T’insole Bells sound and festival goers are tempted by the delicious wares for sale. 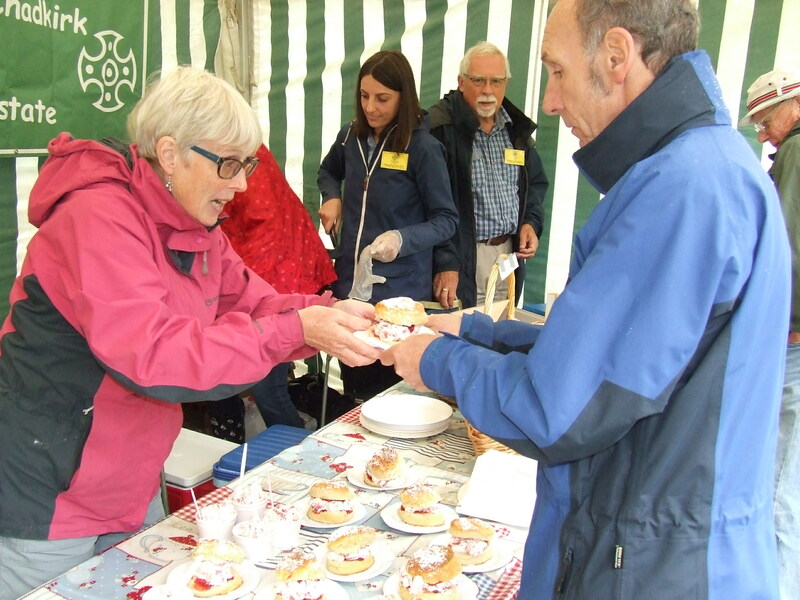 At the Chadkirk Festival, there’s something for everyone. There’s donkeys, birds of prey and …ahem…spiders? 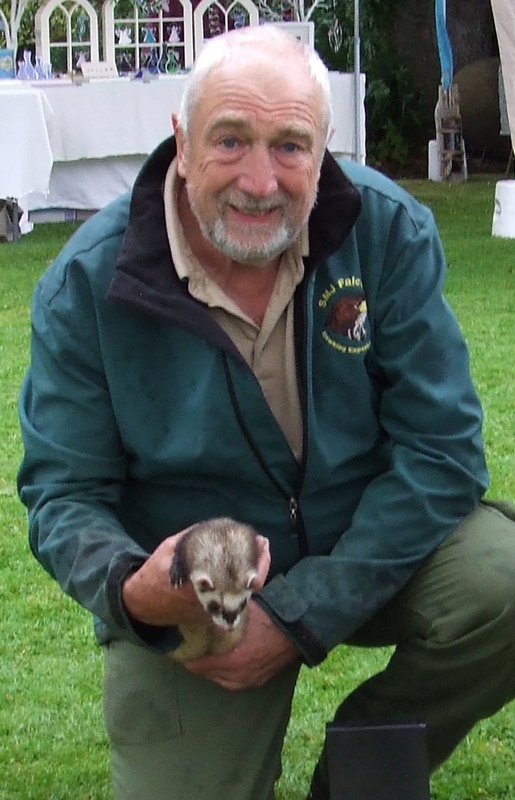 In a new twist, the bird of prey display features ferrets. Can I have heard that right? It’s always exciting to see these birds. This year the handlers have decided that it is unwise to fly the birds. Apparently, there are concerns that the birds were likely to fly off, given the tasty morsels – smaller birds and voles – that are part of the local wildlife. Their appeal might be stronger than the trainer’s lure. 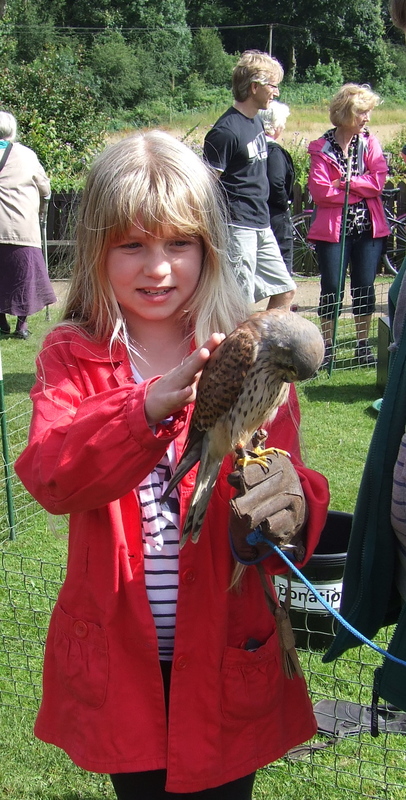 There is a small charge for handling the birds and having your photo taken. This will be donated to help with the costs of the festival. 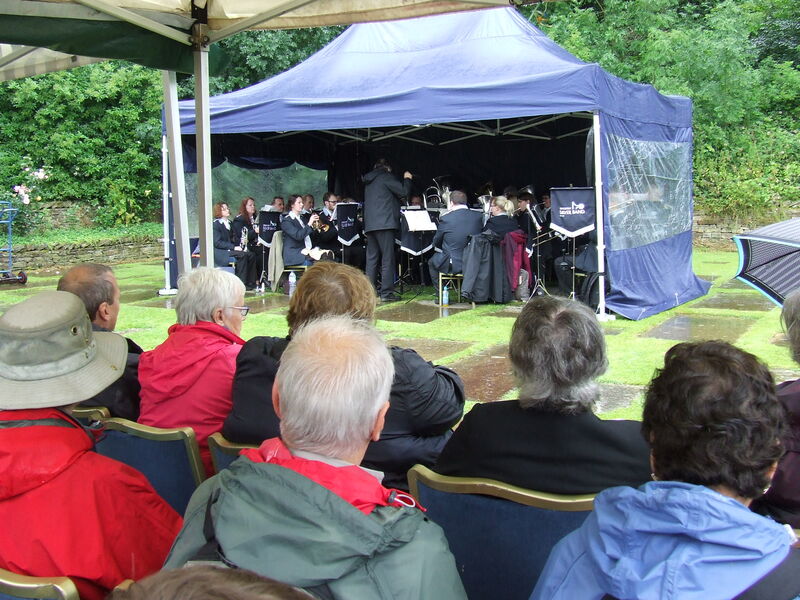 There’ll be the Stockport Silver Band outside Chadkirk Chapel and T’insle Bells performing inside. 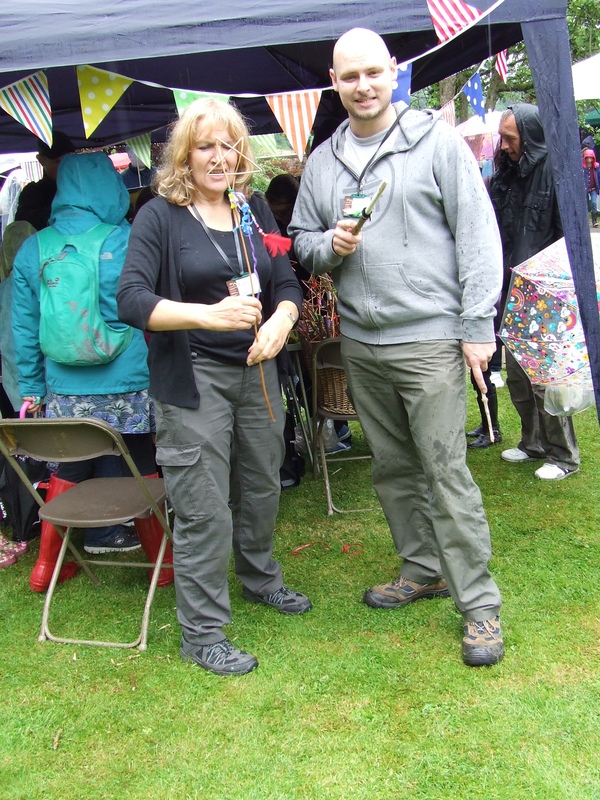 A new feature this year, in the performance arena (the lawned area) a folk singing duo will do a couple of sets. When the competition was held, the sound of George Borowski singing drew office workers to their windows. On Sunday he will sing with Gaynor Wilson. Their final set will close the festival. 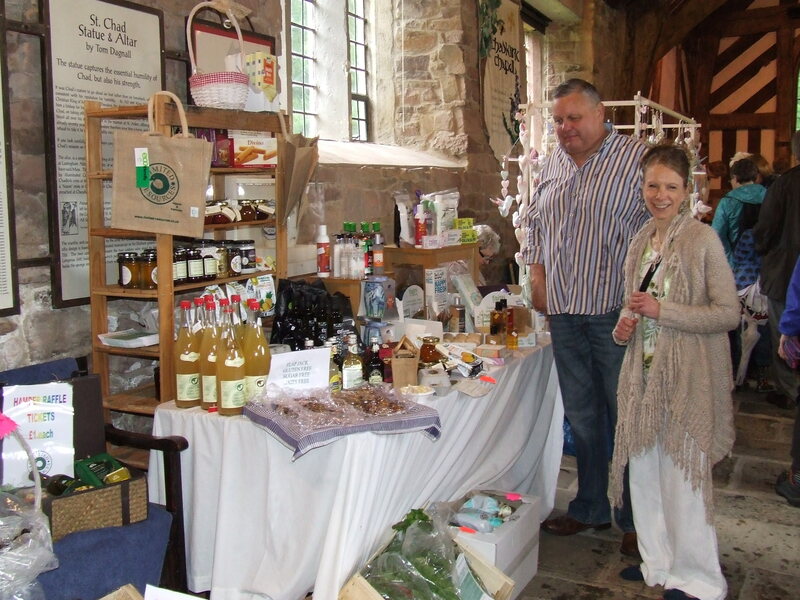 Looking for local produce? There’s the honey from Arnie’s hives and Comfrey Oil from the gardens of Chadkirk. 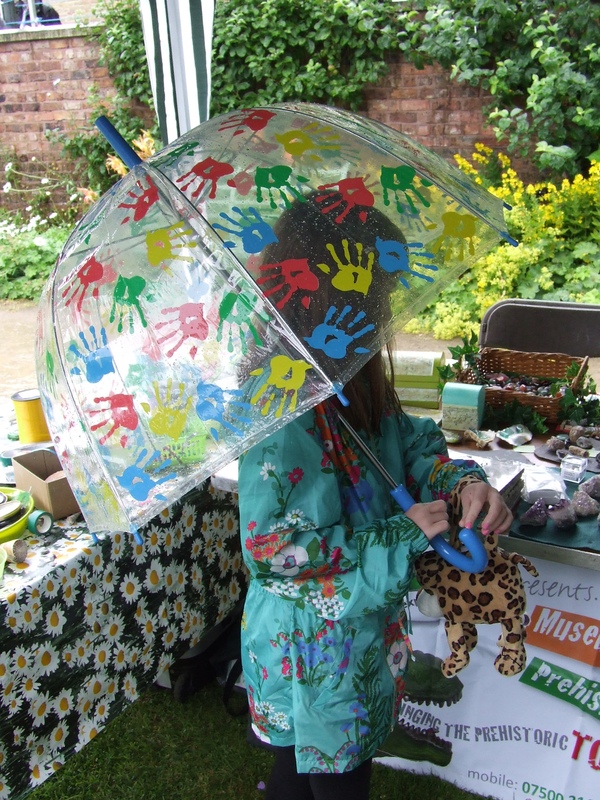 Want to have a go at crafts? 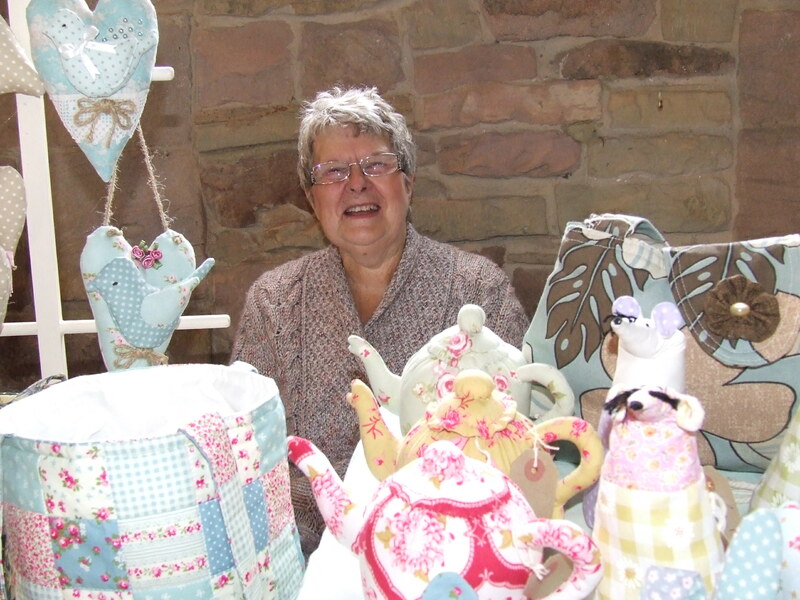 There’s willow weaving and craft work with Chantal, where you might make your own mini well dressing display. Looking or buying? 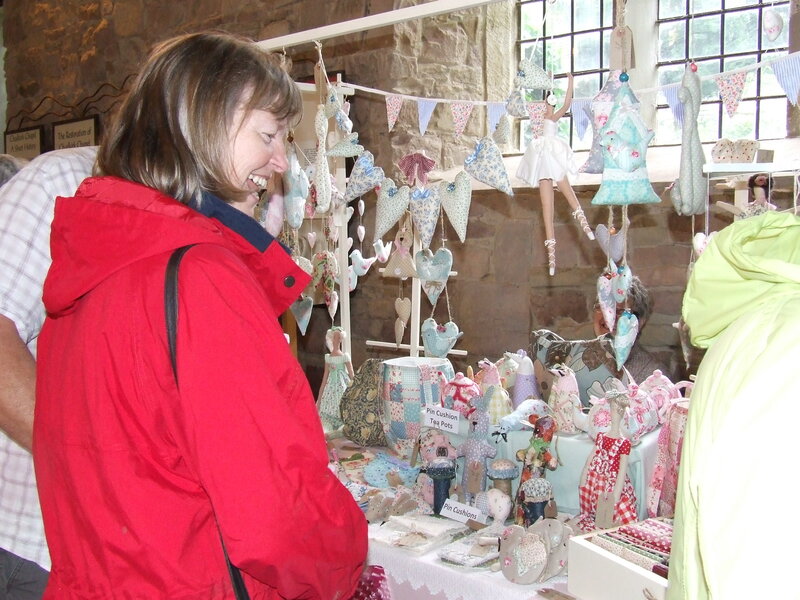 There are plenty of options in Chadkirk Chapel, where there are craft stalls and food stands. Sunday is also a chance to pick up a copy of the guide to our local Heritage Walk. 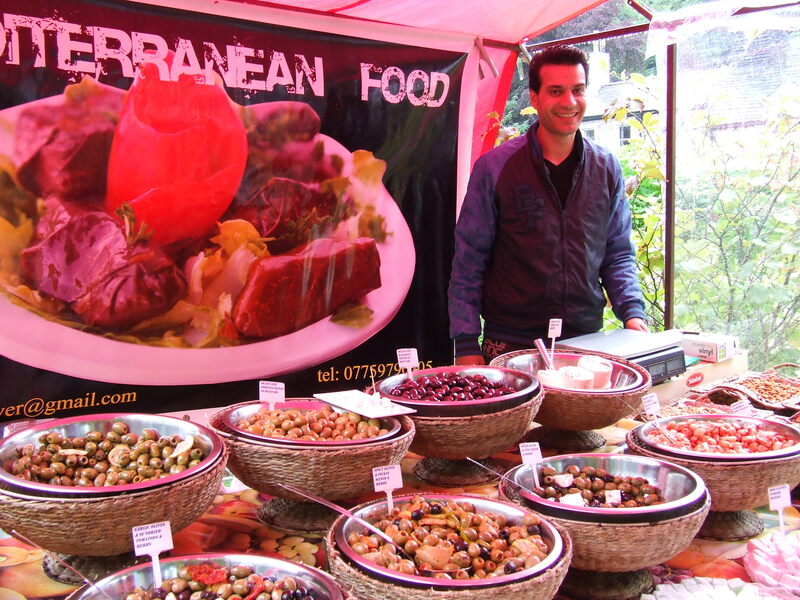 Plenty of stalls to browse, food to enjoy and games to play. Talk to producers and learn about what they do. Watch the dancers and martial artists demonstrate and perhaps find a new interest. 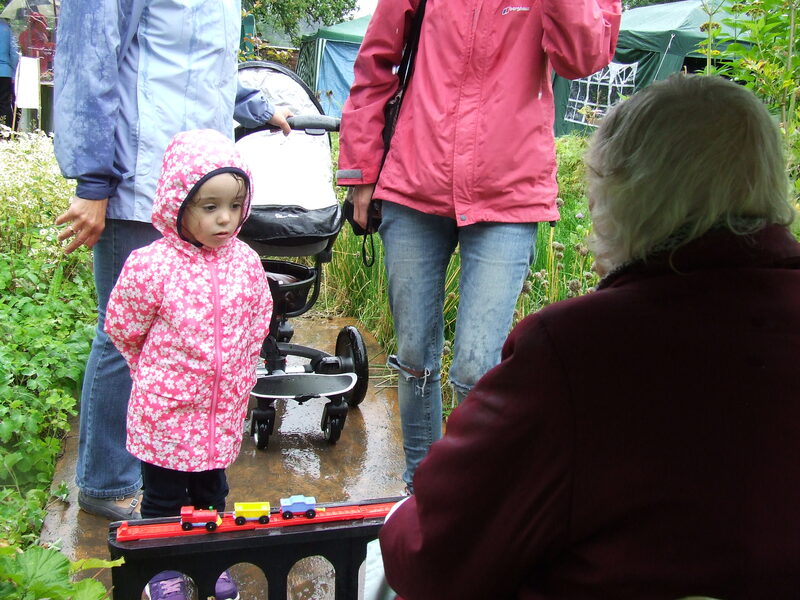 All the fun of the festival…at Chadkirk. Starting at midday on Sunday 26 July. All will be revealed on Sunday at midday, St. Chad’s Well. The start of 2015 Chadkirk Festival. At Chadkirk today, we are putting things in place. Hedges have been trimmed, gardens have been tidied. The grass in Ford field has been cut. An area in Chapel field has been mowed. We are getting ready. Ford Field is prepared. On Sunday, this becomes a car park for just one day. 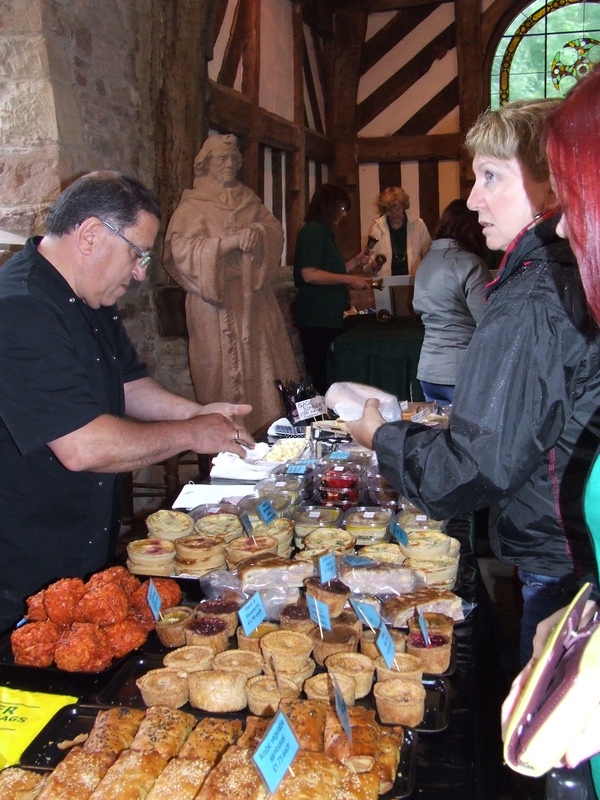 Visitors driving to the Chadkirk Festival will be guided along Vale Road and into Ford Field for free parking. The hedge trimming allows the visitors to walk the footpath in greater numbers than the everyday foliage might allow. This makes life easier for those visitors who are walking in along the footpath alongside Vale Road. 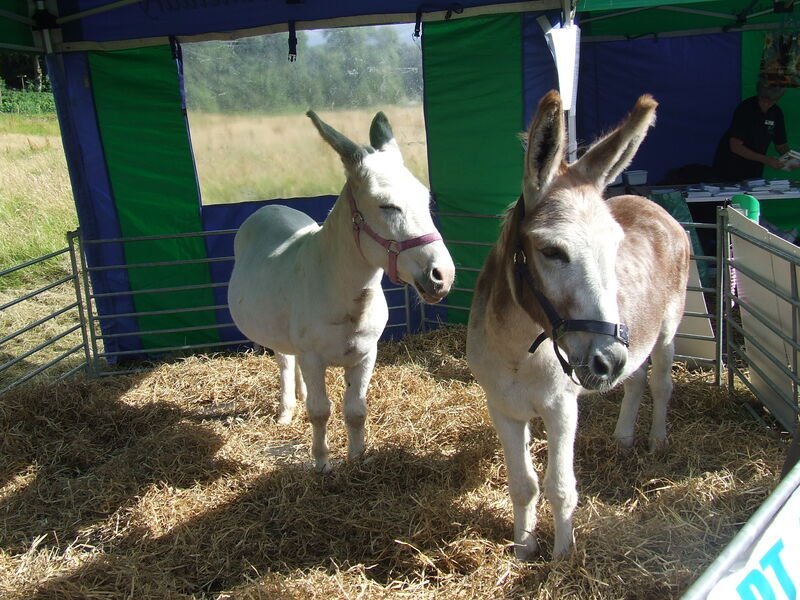 Near the entrance to the Chadkirk Festival, a corner of the field is reserved for the animals from the donkey sanctuary. Here the grass is mown. 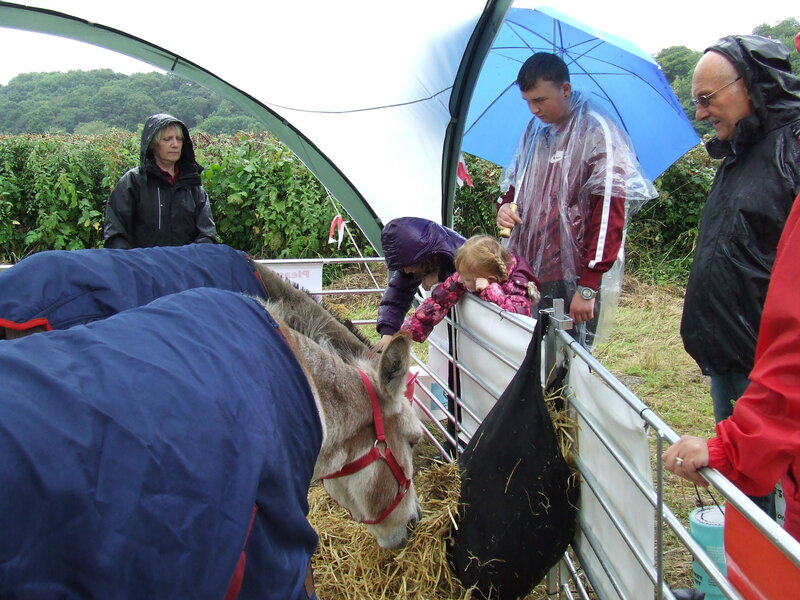 Eating this meadow grass is not good for these donkeys, so this preparation is vital and enables visitors to get close to these appealing animals. Later today, the well dressing will be completed, ready to be unveiled at midday on Sunday. 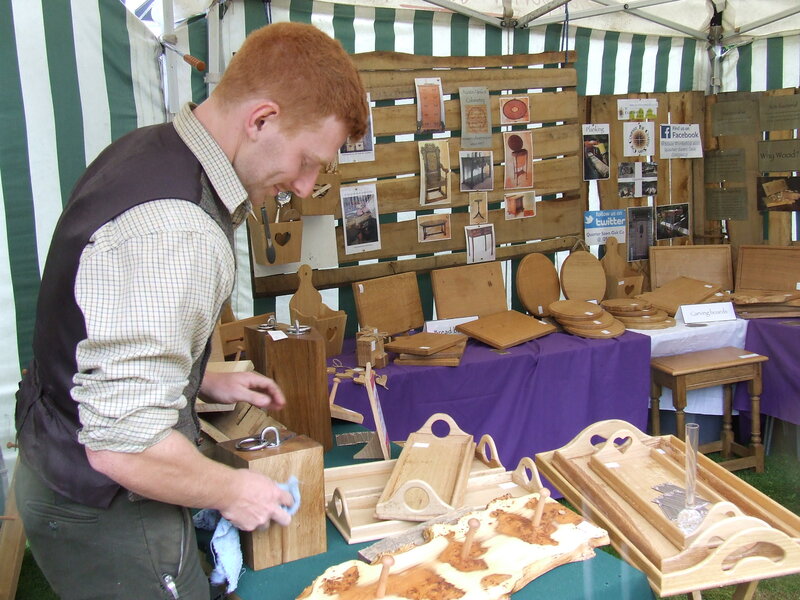 On Saturday, and Sunday morning, people will be assembling their stalls. All this fine preparation. 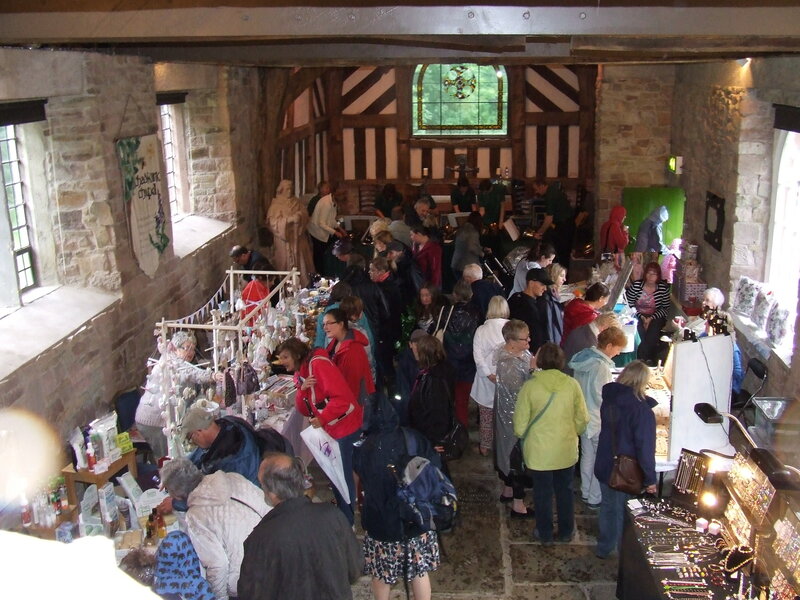 For all the festival’s visitors on Sunday, there’s a rich experience. Putting things in place pays off. There are things that you can buy at the Festival that would be hard to buy any other time, or in any other place. The herbs grown in the walled garden don’t just look beautiful, some are medicinal . We collect our comfrey and make an oil that can be used to treat many ailments and injuries. Comfrey’s country name is ‘knit bone’ so it’s not surprising that it is particularly good for bruises, sprains and even for broken bones. 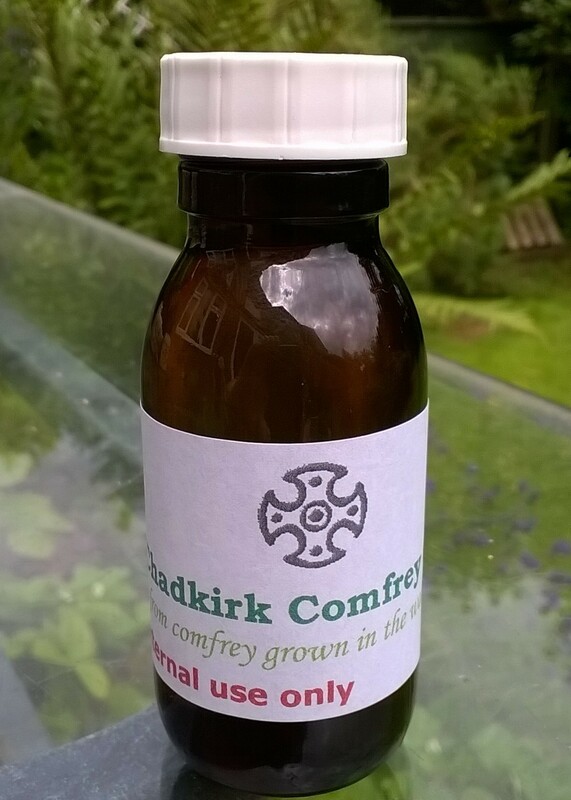 Our little bottles of home grown magic will be on sale at the festival, on the Friends of Chadkirk stall, just £1.50 for 60ml. No first aid kit should be without it. A small team of volunteers, some old hands, some newbies, some who planned to be there, some who just wandered into the Chapel and wanted to get involved, get their hands dirty. Although plenty of planning has gone into this process, no-one can be exactly sure how the design will look when the well is unveiled. Today the clay is prepared before ‘planting’. This lays the foundation. 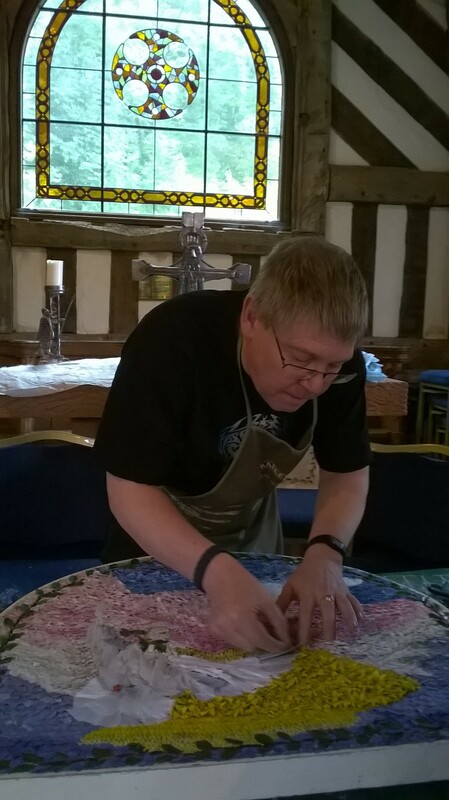 Next the clothes for the well dressing are created from other adornments. Perhaps a chance to join in, so that when the well is visible to all, there can be an extra sense of satisfaction and pleasure, knowing that you have played a part in adding interest and beauty to this much loved place. 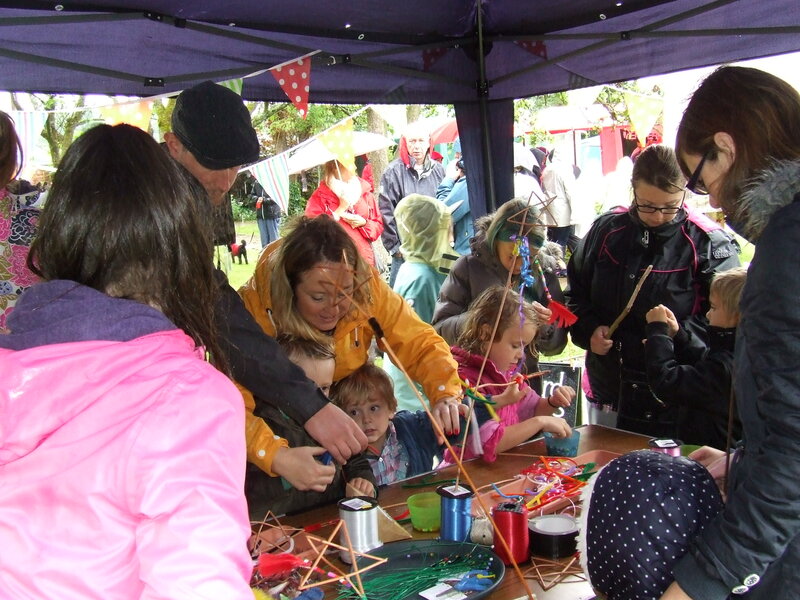 There are 7 days to go before this year’s Chadkirk Festival. 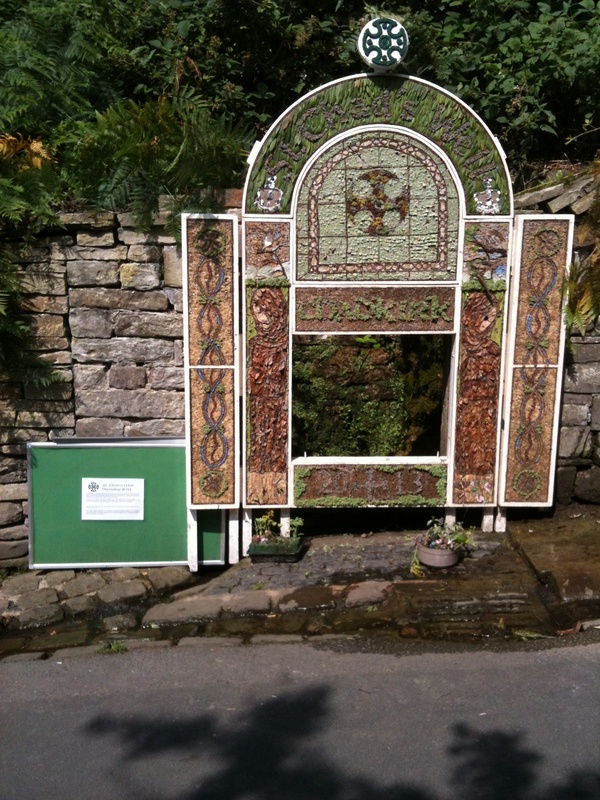 At 12-00 midday on Sunday 26th July the festival will be opened with the unveiling of the well dressing. This week the team will be putting together the materials for our 2015 design and members of the public are invited to come along to Chadkirk Chapel and join in. Each year, a different design, reflects the life and community of Chadkirk and links to the wider world. Past themes include the 1914 commemoration, St. Chad and the installation of the East Window in Chadkirk Chapel, The Queen’s Diamond Jubilee. What will this year’s theme be? The Mayor and Mayoress of Stockport for 2015/16 are Councillor Andrew Verdeille and Mrs Cleo Cundall.They will be unveiling the Well Dressing as the Festival is opened. After midday, they (and we) will be able to enjoy all the fun of the festival.